Families are being urged to act fast to secure tickets at a hugely popular, festive extravaganza in Northumberland. Tickets for Kielder Winter Wonderland, at Kielder Water & Forest Park will go on sale from 10am on Monday September 15, 2014. The unique, theatrical Christmas experience has been a sell-out for the last ten years and event organisers, Northumbrian Water, are urging people to book quickly to avoid missing out. Running every weekend from Saturday November 15, until Sunday December 21 and including Monday December 22, Kielder’s spectacular forest will be transformed once again into an enchanted Winter Wonderland, full of festive surprises and attractions for the whole family. A day ticket to Winter Wonderland gives access to a whole host of activities and surprises. 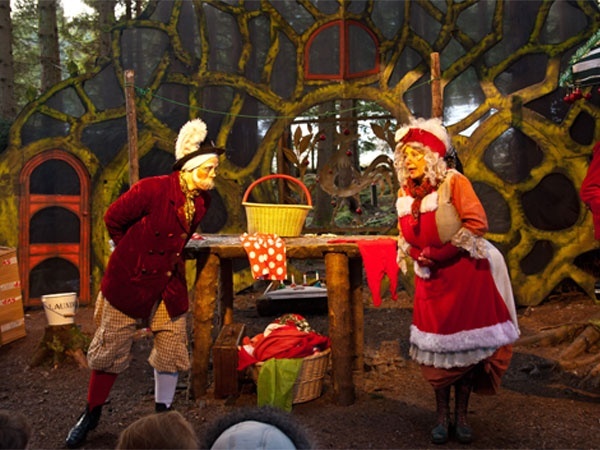 Visitors will join Santa’s elves in their magical workshop before Mrs Christmas and her friends guide guests through the enchanted forest on to the Christmas Theatre shows. The whole family will get gifts to take home from their festive day, plus the chance to take part in skating, snow tubing and a visit to Snowy Owl and friends at the Birds of Prey Centre. The first weekend in November costs £32 per person. Other dates cost £35 per person. For children under the age of one the cost is £5. A booking fee of £4.50 also applies. Make magical memories to last a lifetime at Kielder Winter Wonderland!